Tufts University engineers have developed a novel fabrication method to create dyed threads that change color when they detect a variety of gases. The researchers demonstrated that the threads can be read visually, or even more precisely by use of a smartphone camera, to detect changes of color due to analytes as low as 50 parts per million. Woven into clothing, smart, gas-detecting threads could provide a reusable, washable, and affordable safety asset in medical, workplace, military and rescue environments, they say. The study, published in the journal Scientific Reports, describes the fabrication method and its ability to extend to a wide range of dyes and detection of complex gas mixtures. While not replacing the precision of electronic devices commonly used to detect volatile gases, incorporation of gas detection into textiles enables an equipment-free readout, without the need for specialized training, the researchers say. Such an approach could make the technology accessible to a general workforce, or to low resource communities that can benefit from the information the textiles provide. 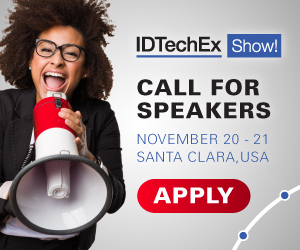 For more information see the IDTechEx report on E-Textiles 2018-2028. The fabric even worked under water, detecting the existence of dissolved ammonia. "While the PDMS sealant is hydrophobic and keeps water off the thread, the dissolved gases can still reach the dye to be quantified." said Rachel Owyeung, lead author and graduate student in the Tufts Department of Chemical and Biological Engineering. "As dissolved gas sensors, we imagine smart fabrics detecting carbon dioxide or other volatile organic compounds during oil and gas exploration as one possible application."